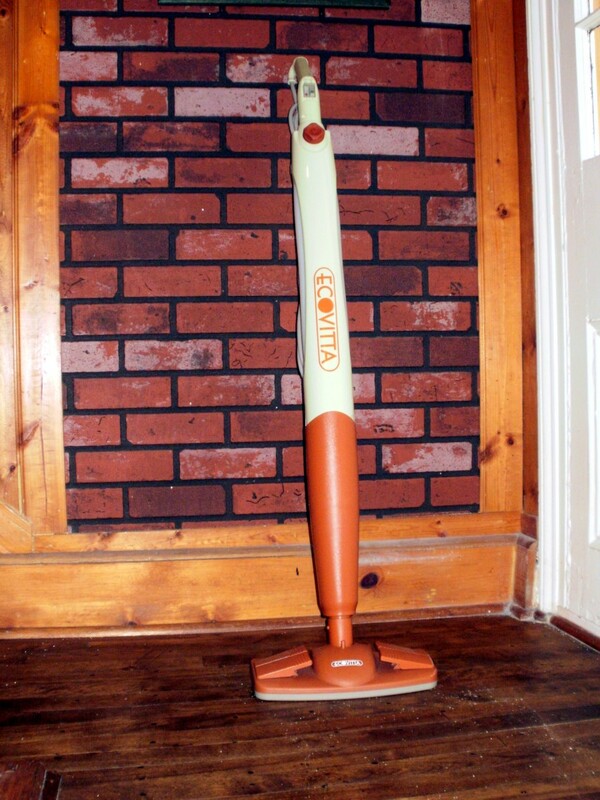 The Ecovitta upright steam cleaner provides an eco-friendly method of cleaning carpets, rugs and hardwood floors without the use of harsh chemicals. A selection of accessories are included to assist in the cleaning of cupboards, curtains and toilets. I obtained the steam cleaner at a local department store. It came well packaged in a cardboard box, insulated with Styrofoam. 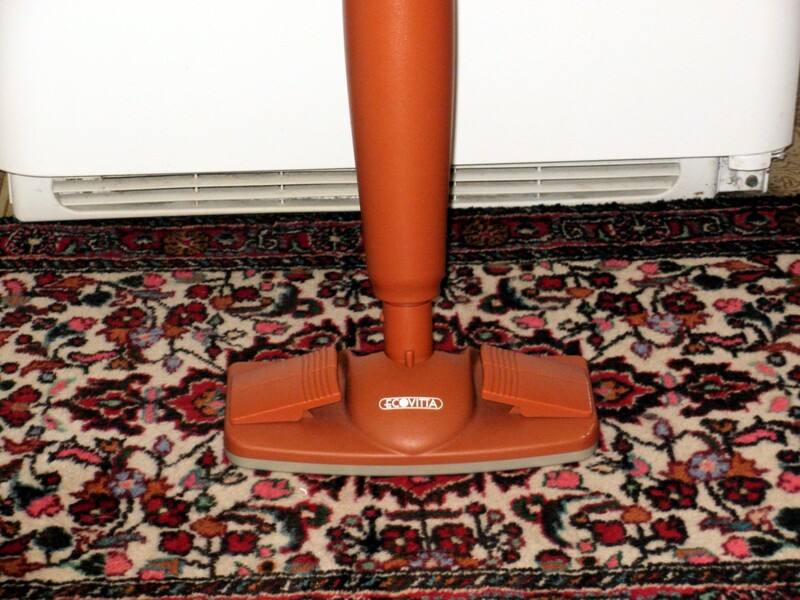 This model, the EC05, closely resembles an inexpensive powered carpet sweeper and its exterior is composed of sturdy plastic. The Floor Head attaches to the bottom of the unit. When in use, steam is produced inside the main unit and forced into the Floor Head. This soaks an attached cloth which picks up dirt as the steam cleaner is drawn across the floor. The Floor Head can be easily interchanged with other accessories. My general impression is favorable. I would prefer that the parts connecting the various accessories to the main unit be composed of metal rather than plastic, but they seem sturdy enough. The accessories included in the package appear to be well made. This cleaner includes a heating unit that quickly converts water to steam. A built-in water tank holds approximately five cups of water. I cleaned two hardwood floors, a carpeted bedroom and three small rugs before running low on water. Operation is simple. I filled the water tank and applied power. Thirty seconds later the steam ready light turned green. I turned the steam regulator on full blast, aimed the nozzle inside my kitchen sink, and activated the steam switch . Billowing steam hissed into the sink. I switched off the steam and attached the floor Head. 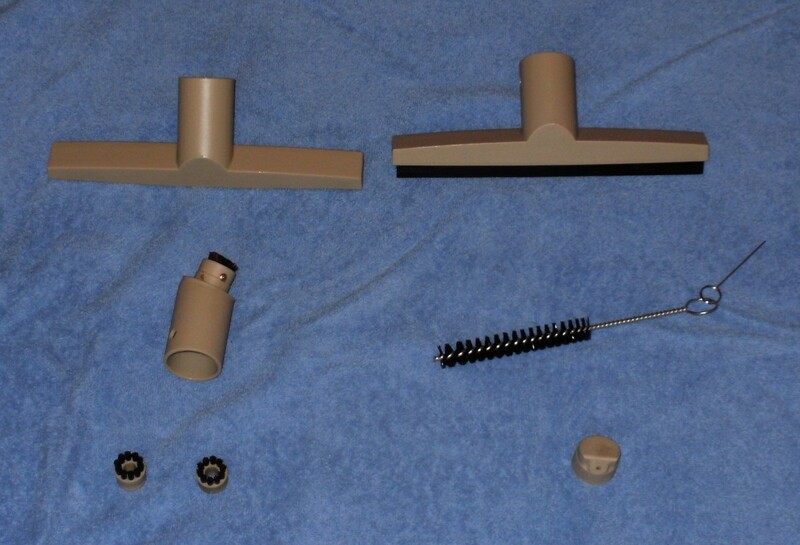 The Floor Head is used to clean hardwood floors, carpets and rugs. The Floor Cloth can easily be attached by four sturdy clamps attached to the Floor Head. Two Floor Cloths are supplied with the steam cleaner. I see no reason why these cloths could not be replaced by normal dish towels when they wear out. A recessed brush can be extended for tough stains. The Utility Tool resembles the floor brush of a vacuum cleaner. The Utility Cloth that fits over this unit remains in place by means of a sewn-in elastic band. The Utility Tool is quite useful and I suspect the single Utility Cloth provided will not be sufficient. A dish towel can be fitted around the tool but a method to hold it in place will be required. I suspect a Velcro strap of the type used to bundle electrical cables together will do the job. These are available at any hardware store. The steam clearer actually uses a Velcro strap to secure its power cable. The Squeegee Tool, used to clean windows, is the same size as the Utility Tool. Steam dampens the pane being cleaned, loosening dirt. The attached rubber squeegee strips away the dirty water. The Spot Brush is small and cylindrical in shape. A tiny, replaceable round brush fits into the end. 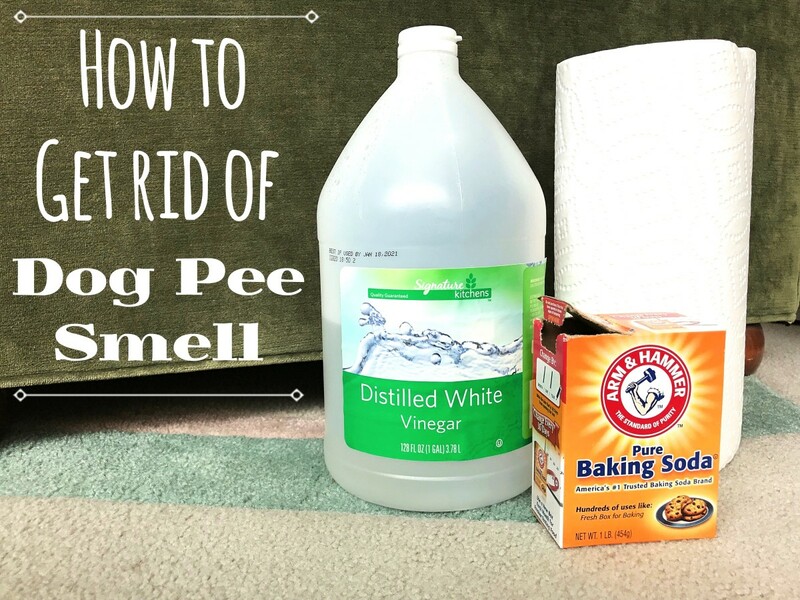 This, in conjunction with steam passing through the Spot Brush, is used to clean stubborn stains. Three of the tiny brushes are included. The Deflector Nozzle aims a concentrated spray of stream toward the item being cleaned. The Nozzle Brush and Pin are provided to maintain the steam cleaner. The included Funnel is used to fill the steam cleaner with water. I installed the Floor Head and experimented with a Turkish rug and two smaller Persian mats. In order to push the cleaner over the rugs without binding, I found it best to support the weight of the cleaner. The rugs cleaned up well and dried within minutes. I replaced the dirty Floor Cloth and tackled the carpet of my main bedroom. It was easier to push the cleaner across the carpet and, except for a couple of spots near the bed, the steam cleaner performed well. I replaced the Floor Head with the Spot Brush and scrubbed the remaining stains. 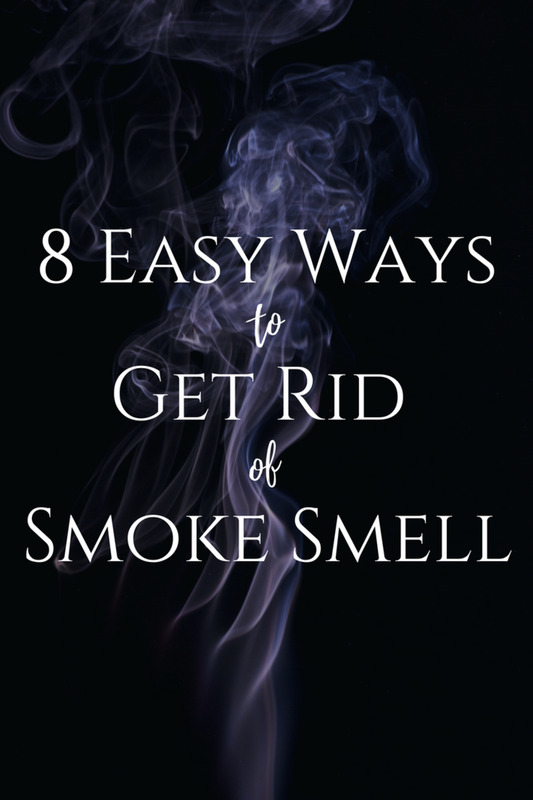 A heavy dose of steam combined with concentrated brush strokes quickly eliminated the stains. 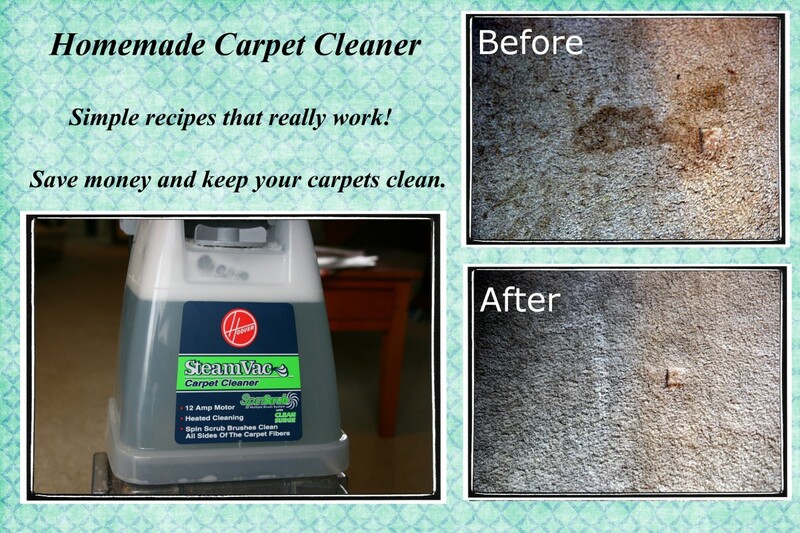 A few strands of carpeting material were pulled away but did not noticeable effect the appearance of the carpet. The instructions included with the steam cleaner noted it was intended for carpets, wood floors and ceramic tiles. Possible it would have cleaned my tiled kitchen floor but, since this was not mentioned, I avoided the risk. I installed the Utility Tool and proceeded to clean the staircase. Unfortunately the thin Utility Cloth provided inadequate protection against scraping. The weight of the cleaner, focused on the small Utility Tool, left wear marks on the first couple of steps. Once I discovered the problem, I supported the weight of the steam cleaner. I kept the Utility tool installed while cleaning my oiled floor in the front foyer. This is a sturdy hardwood floor and the weight of the steam cleaner did not mar the surface. 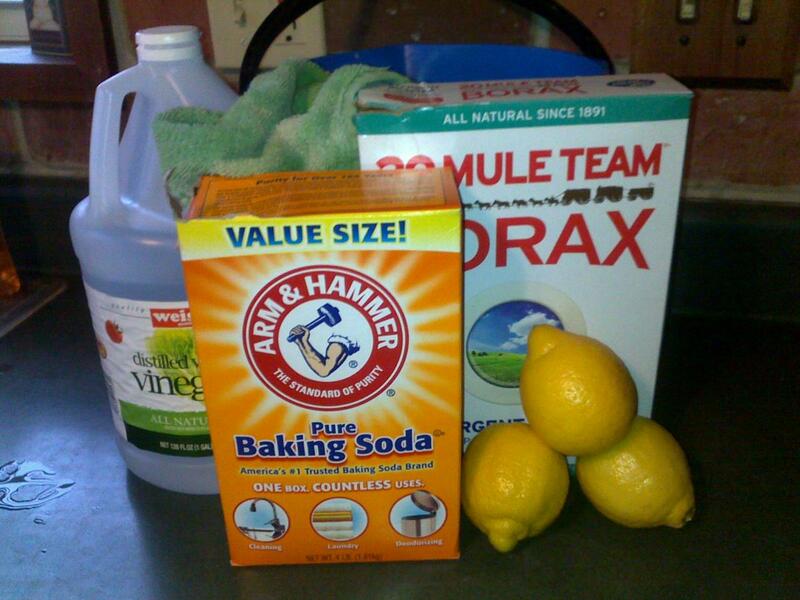 Once complete, I buffed in a healthy coating of Old English lemon oil. The floor looked like new. I changed back to the Floor Head and tackled the parquet flooring in the living room. The results were very good. I used the same head on the varnished hardwood floor of the dining room. After cleaning I found that the surface of the floor exhibited a slight haze. This is probably due to the use of hard water from my tap. Bottled water might be advisable when cleaning shiny wooden floors. A video at the Ecovitta website shows a woman cleaning windows using the Squeegee Tool. She also attached the Utility Tool and carefully cleaned her curtains. Too much work for me! I did attempt to clean my stainless steel sink and dish drying rack. The Deflector Nozzle was easily installed and aimed the steam exactly where I wanted it. Unfortunately, the attachment constrained the amount of steam emitted and I found the device useless. Once the Deflector was removed, the steam output rose satisfactorily but the time required to clean the sink and rack was not worth the effort. 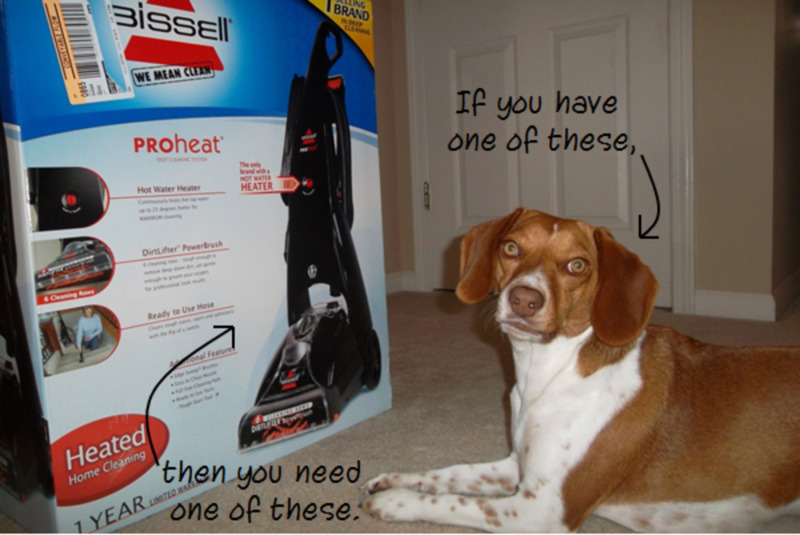 To rate an appliance, such as a steam cleaner, two points must be taken into consideration. Relative cost and intended use. I paid one hundred dollars for the cleaner which puts it squarely into the low end of the price range. 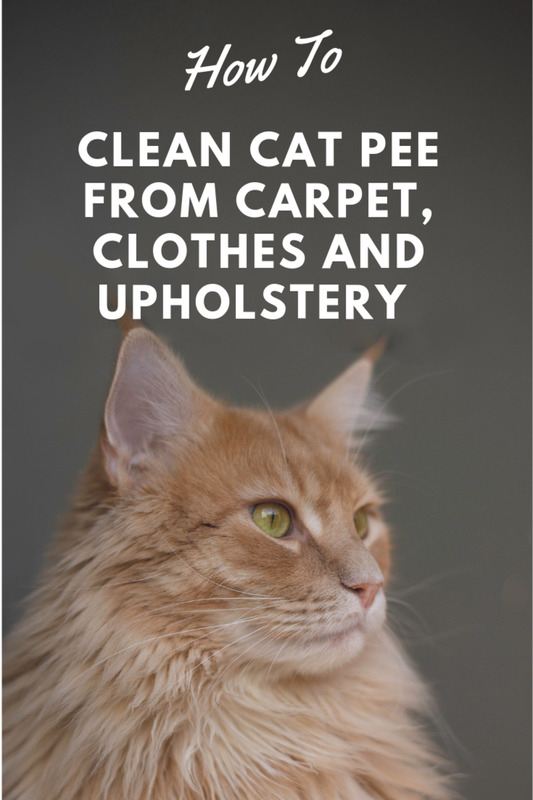 Also, I’m neither what you would call environmentally conscious nor am I allergic to cleaning chemicals - my intended use of this device is simply to clean my carpets and rugs. For me it works. The cleaner is easy to use, reasonably well built, and designed for a budget. For those who desire to leave the smallest footprint possible on the environment, this is not for you. You require a canister type cleaner combined with a hose attachment that allows for the cleaning of windows and curtains without the strain of lifting ten pounds of dead weight. The weight of the cleaner, which might cause wear and tear to your floors and carpets, will not have to be compensated for. 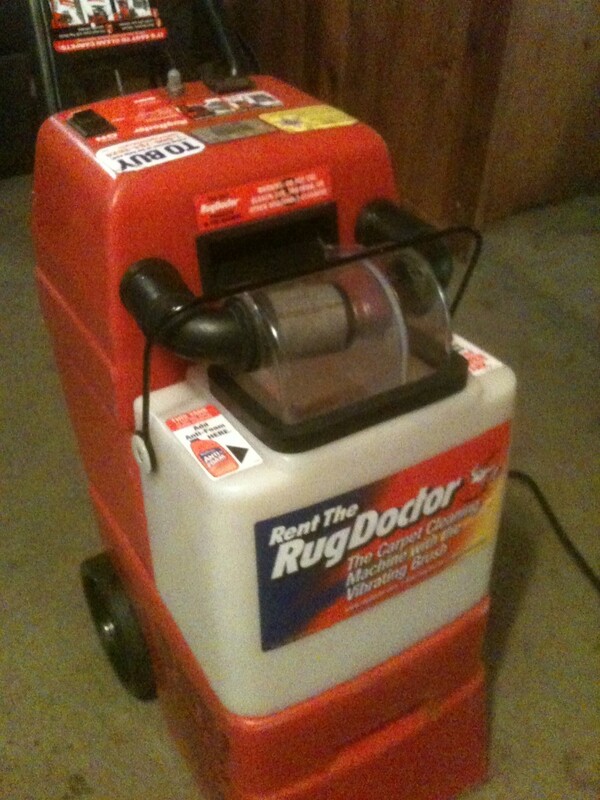 If you are considering steam cleaning your car’s engine, this is not the device for you. I suspect a high capacity industrial unit would be suitable. If your intended use is light-duty, household cleaning, the Ecovitta upright steam cleaner is worth consideration. If it’s to be used for cleaning carpets and rugs, this unit has my recommendation. Can the Ecovitta Upright Steam Cleaner be used to clean a car engine? No. The force of the steam emitted is not sufficient for cleaning a car engine. Hi, Marg. I found the steam to be very, very hot. The steam produced is transferred to the cleaning cloth, dampening it and providing heat. Hi there! May I know how hot does the steam gets? I purchased some steam cleaners before and the steam was just luke warm and it doesn't really work. Thank you so much for your input and much appreciated. Hi, n.cambell. You could ask the vendor who sold you the steam cleaner. If this fails, try emailing info@ecovitta.com and see if they can offer advice.